In our Counselor Training Series, we have discussed a four-step communication model that is simple, effective and proven to increase recruitment success. In previous posts, you have learned about skillful PROBING, SUPPORTING and HANDLING OBJECTIONS. Today we will focus on the critical final step in the communication model: CLOSING. That simply means getting the student to take the next logical step on the path to enrolling. You know there are many milestones on that path. But in every conversation you have, whether it is the first or the fifth, you should end with a suggestion that the student take the next step. If the student indicates that a roadblock may exist, you have to circle back to uncover his or her objection or concern. Many counselors tell us they are apprehensive about closing. They feel as though they are being too intrusive or forceful by asking the student to take some action. In truth, closing is a natural part of the dialogue. For the student, it signals the college’s desire to recruit them. They expect counselors to ask them to take action so it’s no surprise to them when they do. As a matter of fact, we have found that most students are disappointed when they are not asked to make some kind of commitment to the college. Have you ever heard the expression: “Don’t get in your own way?” That is exactly what you are doing if you fail to ask for the close. Most counselors say that once they got into the habit of closing they were surprised at how many times prospective students happily agreed to take the next suggested step. Closing, like the three other elements we have outlined in the model of communication, ensures you the most productive conversations with students. Embrace the model, and you and the students you serve will be more successful. Continue the Conversation on Twitter @LongmireCo. Click here for more information on Longmire and Company’s Interactive Counselor Training Program. Be sure to join us for our guest appearance on Admissions Live! Monday, December 1 at 1 pm EST at HigherEdLive.com. We will take an in-depth look a the importance of pre- and post-enrollment customer service in higher education based on the results of a national co-sponsored study we conducted. The Higher Ed Live network offers live webcasts each week for professionals in higher education. Broadcasting live, each week’s episodes feature exclusive interviews with professionals from colleges and universities across the country; journalists; consultants; and other thought leaders. Rick Montgomery is as an Enrollment Strategist at Longmire and Company. With over 20 years in higher education marketing, he brings an innovative approach to helping colleges and universities meet their enrollment goals. If you have been following our Counselor Training Series, you have been introduced to a four-step communication model that is simple, effective and proven to increase recruitment success. In previous posts, you have learned about skillful PROBING and SUPPORTING to uncover key factors that will be important in the student’s college selection decision. You are ready to address the next step of the communication model: DEALING WITH CONCERNS AND OBJECTIONS. When a prospective student or parent communicates a concern or objection about your college, it’s a good thing. Really. When a concern or objection is revealed, you can deal with it. If they don’t share their concerns, they’ll never enroll and you’ll never know why. There are several great ways to cope with objections and concerns. But the first thing you have to do is to determine whether they exist. Ask the student whether they have any concerns or questions that would prevent them from attending your school. If they acknowledge that concerns exist, you have to isolate each one and respond to it. Questions, concerns, objections and indifference almost always arise during the college shopping process. And they vary widely. 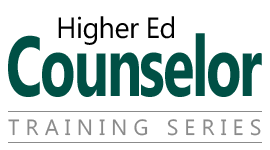 We train admission counselors in a variety of effective methods to manage each type. One of our favorite techniques is called the “Feel, Felt, Found” method of responding to a student’s concern. Let’s say your conversation has gone well with a prospective student and they tell you that your college is a top-three choice. “Feel, Felt, Found” helps to dissolve a concern or objection by confirming that others had similar concerns that turned out to be unfounded. Often, it’s all you need to get past an issue that, if not resolved, would be a deal-breaker. The model of communication and its four elements is a simple approach to having great, productive conversations that benefit both you and the student. The goal is to best serve the student by truly understanding what he or she needs and wants. Ultimately, that will make both you and the student more successful. We recently introduced you to a four-step communication model that is simple, effective and proven to increase recruitment success for those who adopt it. In Step 1 we showed you that with skillful probing, you’ll uncover key factors that will motivate a student to select your college over all others. Today we will explore Step 2 of the communication model: SUPPORTING. Through probing, you gathered all of the information you need to fully understand the needs, preferences and motivations of the prospective student. Now it’s time to present the value of your institution. It’s time for you to demonstrate how you can deliver what the student wants. That’s why the supporting phase is a critical part of the communications model. Supporting helps the student understand how you can meet their needs and give them exactly what they want. How do you do it? You acknowledge what they’ve said to you, confirm that your understanding is correct, and then present the specific ways in which your institution can provide what they want and need. When do you begin the supporting phase of your conversation? Only after extensive probing. After the student has fully expressed their needs, you fully understand those needs, and you know that your institution can meet them. Third-party validation involves supporting your promise of value by referencing something or someone the student can relate to and trust. For example, you have learned that the student is very interested in receiving a high-level of personal attention. You can certainly tell them that you can deliver it, but simply promising it forces them to take your word for it. It may be true but it’s abstract. Adding third-party validation gives your promise strength. It turns the abstract into reality. Storytelling also serves as a powerful method of supporting your claims of value. It not only engages the prospective student, it also personalizes what you are telling them. It makes it real and believable. I’m sure your college has hundreds, if not thousands, of compelling stories that paint a picture of the many students who have had great and memorable experiences with you. These stories need to be recorded and categorized so that they can be easily shared at the right time, in the right situation, and with the right student. Many of the colleges we work with actually keep a database by topic of these narratives and some have even hosted inter-departmental competitions to find the best student success stories. Supporting is the phase of your conversation where a student’s interest either gets stronger or weaker. It’s a pivotal point and you need to employ the proper techniques to get it right. In Part 1 of this series we outlined a four-step communication model that is simple, effective and proven to increase recruitment success for those who adopt it. Today we will take a deeper dive into the first of those steps: PROBING. “Probing” simply means asking a lot of questions. The truth is, the vast majority of counselors we work with don’t cover a sufficient number of topics with a prospective student. And they don’t dig deeply enough to understand what will influence the student’s college selection decision. When you talk to a student, think of each topic of conversation as a bucket and your job is to fill that bucket by asking enough questions to completely exhaust the subject. Your goal is to understand how much influence that topic has on the student’s college selection decision. For example, you might ask, “How interested are you in off-campus recreational activities?” The student might say they are VERY interested in that. 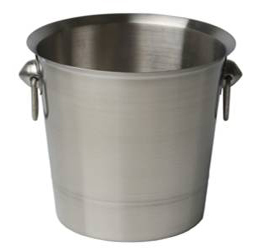 What you’ve done is open a bucket and you need to ask as many questions as you can to understand what they like and want in that particular area. You also need to find out how important it will be in their selection of a college. Even though they may be “very interested” in it they may also tell you – IF YOU ASK – that it’s not going to factor in their college selection decision. Some buckets of conversation are opened and closed quickly. For example, if you ask about the importance of distance-from-home in selecting a college, and they say they are willing to go anywhere, you’ve just determined that distance-from-home is neither going to be a deal-breaker nor a strong perceived value of your institution. In that case, you can close the “distance-from-home” bucket and move on. The most accomplished counselors open and fill MANY buckets of conversation. They can question a student for an hour and do nothing but open and fill buckets. When the probing part of the conversation is complete, the counselor has a thorough understanding of the human being they’re talking to. More importantly, the student feels understood and valued. There is an art to probing. But it’s also an acquired skill that can be learned and perfected. 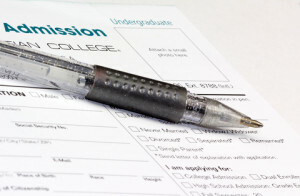 We have helped counselors learn to probe in a manner that is so effortless that at the end of the exchange the student describes the encounter as a “great conversation.” In the process, the student has handed the recruiter every tool he or she needs to present the value of the college in perfect alignment to what the student will perceive as being valuable. When you become experienced and polished at probing, you’ll uncover key factors that will motivate a student to select your college over all others. Next in the Counselor Training Blog Series we will explain how you can take what you learned by probing and present your college’s specific values and benefits to prospective students for maximum effect.